WE TAKE OUR INSPIRATION FROM THE DEPH OF KNOWLEDGE AND WISDOM OF OUR ANCESTORS, FROM THOSE WHO PIONEERED THE CULTIVATION OF GRAINS AND THE PRODUCTION OF BREAD. WE LOOK TO THE ROOT, TO THE SOURCE, AS OUR GUIDE. These are the grains that triggered food surplus and cultivation as we know it. 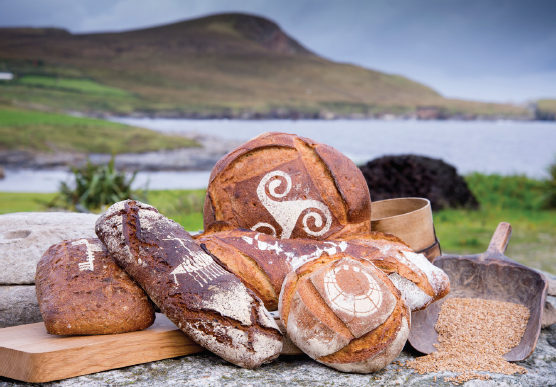 A tradition expressed in the taste, texture, nutrition, and sustainability of our Bread. Stonegorund flour, stone oven, our unique sour dough culture. Bread as it should be.